SAN JOSE—Later this month, the Transportation Security Administration will begin a formal testing period for a new baggage screening system at Mineta San Jose International Airport. The state-of-the-art baggage-screening system, made by Morpho Detection, could be rolled out to airports across the U.S. if the machines perform well. 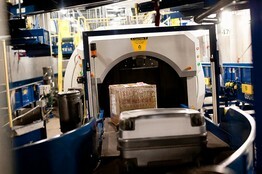 The system is part of a federal initiative to replace older baggage-screening machines in U.S. airports with more efficient and accurate models. After a formal 45-day evaluation period, the agency will determine whether to purchase additional Morpho systems and at which airports they will be deployed, says TSA spokesman Nicholas Kimball.